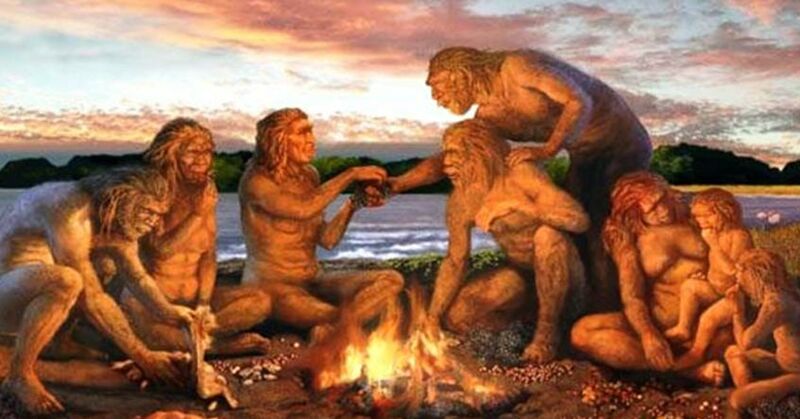 Chinese scientists are saying an early human ancestor, Peking Man, set up fireplaces and cooked food about 600,000 years ago—the earliest evidence for fire use by a human species yet. They found fireplaces enclosed by a circle of rocks and burned rocks, soil and bones at an important fossil site in the suburbs of Beijing. Gao Xing, with the Institute of Vertebrate Paleontology and Paleoanthropology of the Chinese Academy of Sciences, said archaeologists have spent three years excavating a fossil site called Zhoukoudian in the western suburbs of Beijing. They found lime that he says resulted from limestone being burned. “Some of the animal bones were entirely carbonized, turned black both outside and inside. It is safe for us to conclude that this is the result of burning,” Gao said, China.org.cn reports . A cranium and other fossils of Peking Man were found at Zhoukoudian in the 1920s. At the time, the discovery caused a sensation among scientists, who claimed a new cradle of humanity had been found. They also found ashes, rocks, burned bones and charred seeds there in 1929, Gao said, leading archaeologists to conclude Peking Man used fire. Some have questioned whether the burned items resulted from Peking Man or some natural source of fire. “The evidence this time is more convincing. It has been found under the earth untouched, without weather damage. This shows us that Peking Man could not only keep kindling, but knew how to control fire,” Gao said. Although scientists estimate that ancient humans began using fire over a million years ago, it had been unclear when people starting using it on a regular basis, for example, for cooking daily meals. Discoveries earlier this year in Quesem Cave in Israel confirmed people were using fire 300,000 years ago, but the Zhoukoudian find provides even earlier evidence. It was announced in June that Quesem Cave yielded one of the earliest examples of regular fire use by early humans, as evidenced by large quantities of burnt bone, heated soil lumps, ash deposits, and most significantly, a 300,000-year-old hearth in the center of the cave. An analysis of the hearth revealed that it has been used repeatedly over time. Peking Man ( Sinanthropus pekinensis ) was not a single individual, but a species of Homo erectus who were very similar to modern humans, having a large brain, and similar skull and bone sizes, but who had heavy brows and large, chinless jaws. They lived between 750,000 and 200,000 years ago. Earlier this year scientists announced they'd found a single tooth of a Peking Man woman 30 to 40 years old when she died—quite old for that time, scientists say. The tooth was in a rare and important shipment of fossil finds – forgotten for decades in an unopened box in museum storage. The box was rediscovered, and it is giving experts new knowledge about Peking Man, considered an ancient ancestor of modern humans. The tooth, partial skulls, and many other ancient fossils and tools were excavated from Zhoukoudian. Discovered by Swedish geologist and archaeologist Johann Gunnar Andersson, the prehistoric bones caused a sensation in the scientific world, and were shipped from China to Sweden for further examination. The collection was huge and some of the boxes were never opened until now. Other specimens were smuggled out of China and others were lost in the confusion and chaos of the Second World War. Although the tooth was rediscovered almost 100 years later, the whereabouts of many important bones remain unknown. In the last ten years, numerous other ancient hominid fossils have been found across Asia, showing that Homo sapiens reached distant parts of the Asian continent much earlier than previously thought. For example, remains have been found at multiple sites in southern and central China that have been dated to between 70,000 and 120,000 years ago. The new discoveries are helping to fill in the gaps in the evolutionary records.